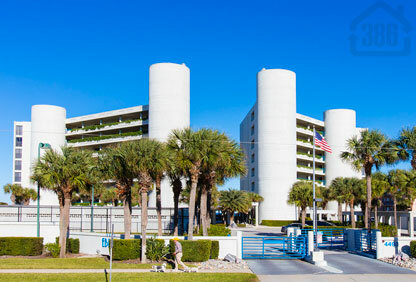 Ebb Tide is a premier condominium property on the no-driving section of New Smyrna Beach. Ebb Tide offers luxury and comfort by the sea with amenities such as: a tennis court, workout room, gorgeous pool and hot tub area, sauna and clubhouse facility perfect for parties and meetings.This gated community is the perfect second home, vacation spot, or investment property. New Smyrna Beach is known for its small-town character and family-friendly and fun atmosphere. The warm climate, wide white sand beaches, and variety of outdoor activities make this the perfect destination to call home. Call us today to find a beautiful Ebb Tide condo or another opulent oceanfront condo in New Smyrna Beach.